Give your dining room some gorgeous and expansive storage, as well as heirloom quality, with the Shaker Deluxe Hutch & Buffet. 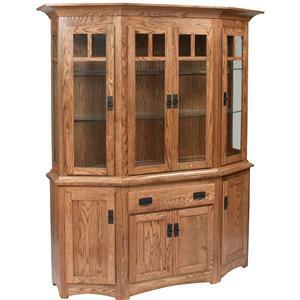 The piece features plenty of functional storage options, including three flat panel doors and a wood shelf within and three drawers in the buffet, along with three glass mullioned doors with a glass shelf within the hutch. Furthermore, the hutch features can lights with a touch-dim switch, paired with a mirrored back, to provide the display that your prized dinnerware deserves. Finally, this piece is extremely customizable from wood type and finish to hardware style allowing you to create the look you love most. The Hutch and Buffets Shaker Deluxe Hutch & Buffet with Touch Lighting by Daniel's Amish at Belfort Furniture in the Washington DC, Northern Virginia, Maryland and Fairfax VA area. Product availability may vary. Contact us for the most current availability on this product. 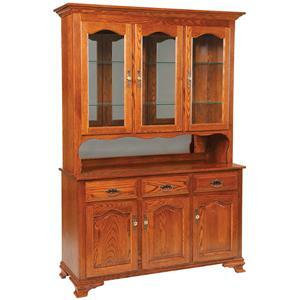 26-5153 3 Door Deluxe Buffet with 3 Drawers 1 55.25" 18.75" 34"
27-5153 3-Door Deluxe Hutch 1 57.25" 15.25" 48"
Make your dinner room complete with help from these hutch and buffets. The pieces come with wood and glass panel doors and features full extension drawer slides as well as antique brass or black mission hardware. 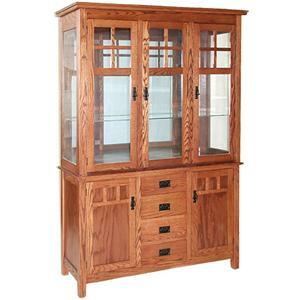 In addition, the glass shelves within the hutch are fantastic for displaying china, figurines, decorative bowls and cookbooks. These items can be heightened with the help of can lights with touch-dim switch. 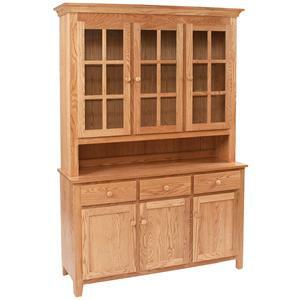 Bring a functional and fashionable piece to your dining room with these hutch and buffets. The Hutch and Buffets collection is a great option if you are looking for furniture in the Washington DC, Northern Virginia, Maryland and Fairfax VA area. 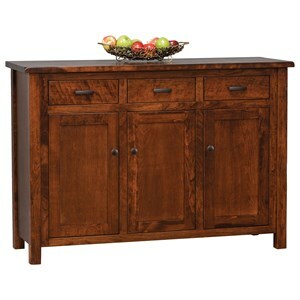 Browse other items in the Hutch and Buffets collection from Belfort Furniture in the Washington DC, Northern Virginia, Maryland and Fairfax VA area.